We are taking the cupcake experience to a whole new level! Come visit our new location, a hip trendy setting, enjoy our scratch made cannoli cream, cupcakes,cheesecakes, pies, cake-pops, cakes & NEW on the menu...our delicious Banana Cream Pudding! Just like the good old days, we use nothing but the best ingredients, and source everything locally as much as possible. We are a preservative FREE bakery-which ensures you a quality, fresh product every time. We have a full cupcake bar where you can pick your base cupcake flavor and your frostin', we will make your sweet treat right in front of your eyes! Mix & match to your hearts content, you can have one frostin' or 3! 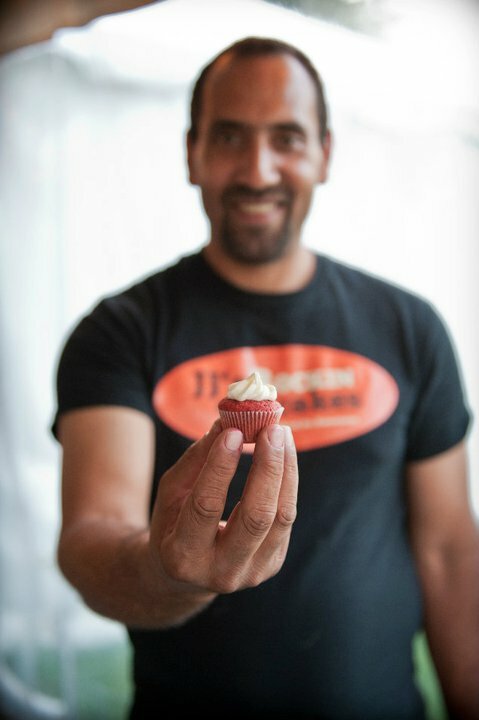 Having JJ's at your next event or gathering will not only add a unique twist, but it will be sure to leave your guests talkin!